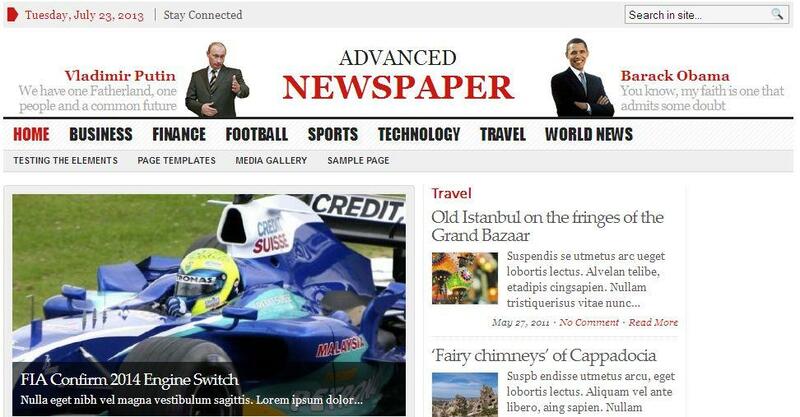 Advanced Newspaper contains a lot of features, including, but not limited to, eye-catching featured entries, and a unique newspaper layout that is easy to navigate and powerful, easy administration and all in one theme control panel. To make your life easier, we have implemented custom post types for better organization. Custom Post Types include Gabfire media and photo galleries (see video). WordPress Themes ! WordPress Plugins ! Site Templates ! Website Template ! WordPress Themes ! WordPress Plugins ! Site Templates ! Website Template ! eCommerce ! PHP Scripts ! CMS ! Site for sale ! Anunturi !HTML ! Portfolio !